Statoil has submited the PDO (plan for development and operation) for the Johan Castberg project on behalf of the partnership with Eni and Petoro. “This is a great day! We have finally succeeded in realising the Johan Castberg development. The project is central part of the further development of the northern regions, and will create substantial value and spinoffs for Norway for 30 years,” says Margareth Øvrum, Statoil’s executive vice president for Technology, Projects and Drilling. Capital expenditures for Johan Castberg are estimated at some NOK 49 billion. Recoverable resources are estimated at 450 – 650 million barrels of oil equivalent. 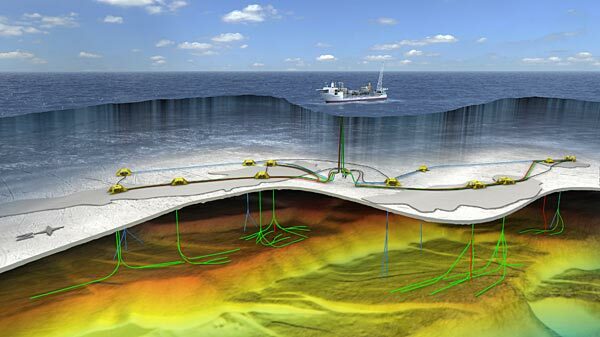 This makes the Johan Castberg project the biggest offshore oil and gas development to be given the go-ahead in 2017. First oil is scheduled for 2022. “Johan Castberg has brought challenges. The project was not commercially viable due to high capital expenditures of more than NOK 100 billion and a break-even oil price of more than USD 80 per barrel. We have been working hard together with our suppliers and partners, changing the concept and finding new solutions in order to realise the development. Today we are delivering a solid PDO for a field with halved capital expenditures and which will be profitable at oil prices of less than USD 35 per barrel,” Øvrum says. “Johan Castberg will be the sixth project to come on stream in Northern Norway. The field will be a backbone of the further development of the oil and gas industry in the North. Infrastructure will also be built in a new area on the Norwegian continental shelf. We know from experience that this will create new development opportunities,” says Arne Sigve Nylund, Statoil’s executive vice president for Development and Production Norway. The Johan Castberg field will have a supply and helicopter base in Hammerfest and an operations organisation in Harstad. The costs of operating the field are estimated at some NOK 1.15 billion per year. This will represent about 1700 man-years nationwide, some 500 of which will be located in Northern Norway. This includes both direct and indirect effects. “Johan Castberg will be producing for more than 30 years, and the greatest spinoffs will be generated in the long production phase. Castberg will create considerable activities for Norwegian supply companies and generate ripple effects in Northern Norway,” Nylund says.